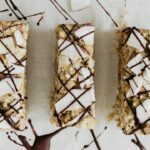 These raw vegan buckwheat bars are the snack you were looking for: coconut-y flavor, with a touch of lemon zest. You read to try? 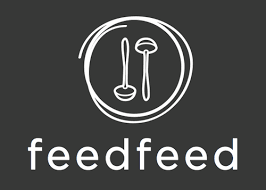 So, I asked you where you usually seek inspiration when it comes to recipes. Most of you answered: Instagram, cookbooks, food blogs. Same for me, but I also love finding inspiration on Pinterest and into magazines. 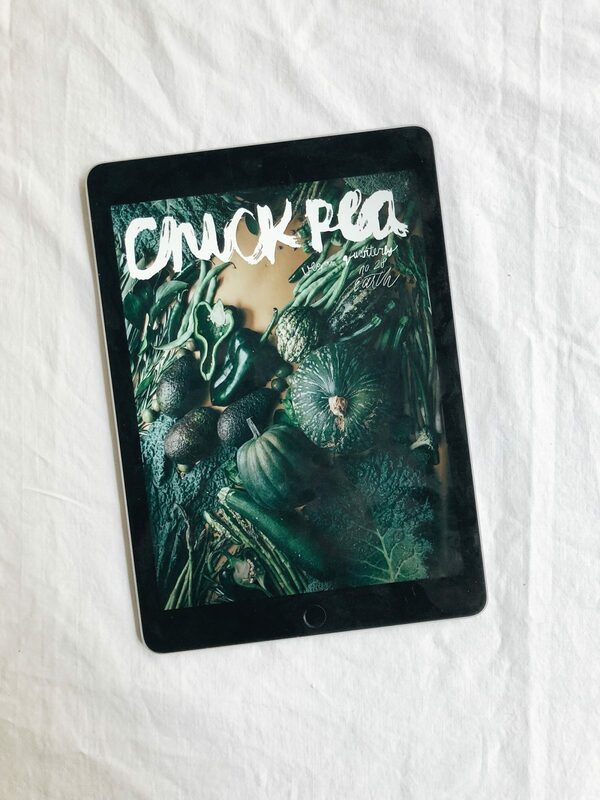 The inspiration for this buckwheat bars’ recipe came after reading Chickpea Magazine, a vegan food & writing quarterly that I discovered a while ago. Sweet tooth? 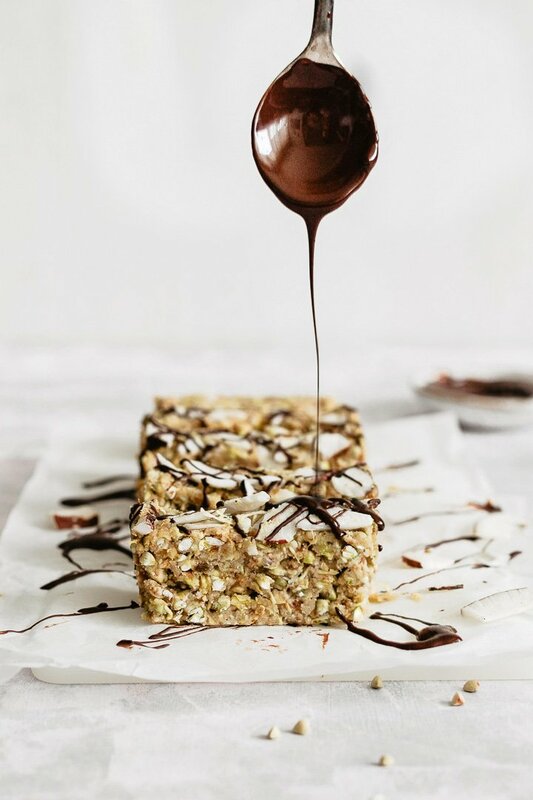 Pour some chocolate over these buckwheat bars! Bought it, started leafing through and immediately saw they dedicated page 24 to SPROUTING. Sprouting is one of those fancy things (I thought) that I’ve tested once and never tried again, ’cause it just involved a lot of work apparently for no reason. Thanks to their crystal-clear explanation though, I understood that sprouting is actually pretty simple and I think I’m going to experiment with other seeds in the future. You can also use a jar closed with a cheesecloth or use a sprouting tray. Use them in your recipes or make mine! 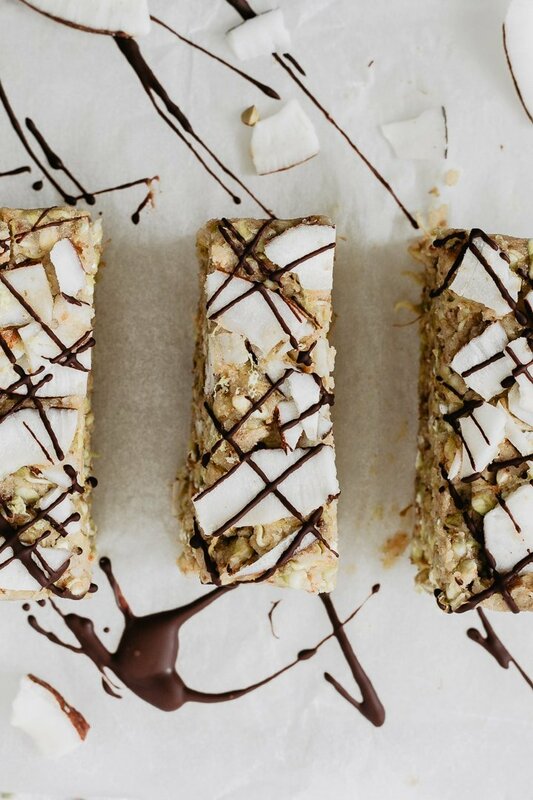 Buckwheat bars are perfect if you’re looking for a healthy snack that is also satisfying! Ok, now you’ve learned how to easily sprout this recipe’s main ingredient: buckwheat. The flavor? COCONUT AND LEMON. Since there was a lot of date “caramel” into the mixture, I wanted to give a touch of freshness so I added the zest and juice of a lemon. With coconut butter and coconut flakes, believe me, it’s to die for! The final touch: I wanted to drizzle something on top but I was out of white chocolate so I’ve used dark chocolate instead. The cherry on top, I nailed it! 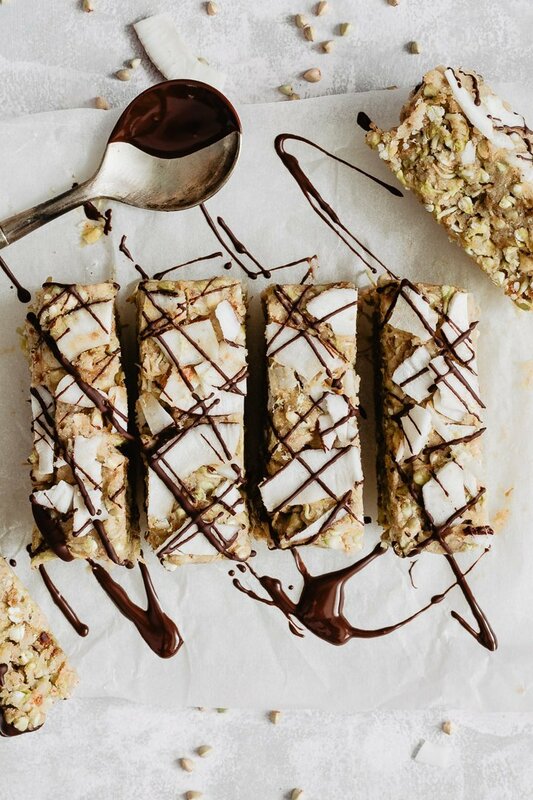 Buckwheat bars are the perfect pre-workout snack! NOTE: This post contains affiliate links which means I make a commission off of the links below with no additional cost to you. Thanks for supporting me! Raw vegan buckwheat bars with a delicious touch of coconut and lemon! Sprout your buckwheat groats as mentioned in the post above. Line a 8 x 15 cm (approximately 3 x 6 inches) loaf pan with two pieces of parchment paper: one lengthwise, the other one horizontally. Using a small food processor, blend water + pitted dates to obtain a smooth "caramel". Heat a pan and melt some coconut butter (do not overheat). Click here to know how to make coconut butter. In a bowl, add your dates mixture and the melted coconut butter to the buckwheat sprouts. Stir until you obtain a thick and sticky mixture. Add the zest of half a lemon and 1 or 2 teaspoons of lemon juice. Place the mixture in the prepared pan and use a spatula to press it into the pan.